I had to go to Miami International Airport the other day to meet someone visiting. From time-to-time there are art exhibitions and artwork around the airport. If you happen to be in Terminal J look out for a big bright and colorful piece of Pixel Art of MIA. This is the artwork currently displayed at Miami International Airport. Oct 2015.
eBoy explain that a Pixorama is a mix between the words : Pixel & Panorama. It is a Digital Art Work that is created pixel by pixel on a computer. It is a new technique of Art creation and its it allows great creativity. 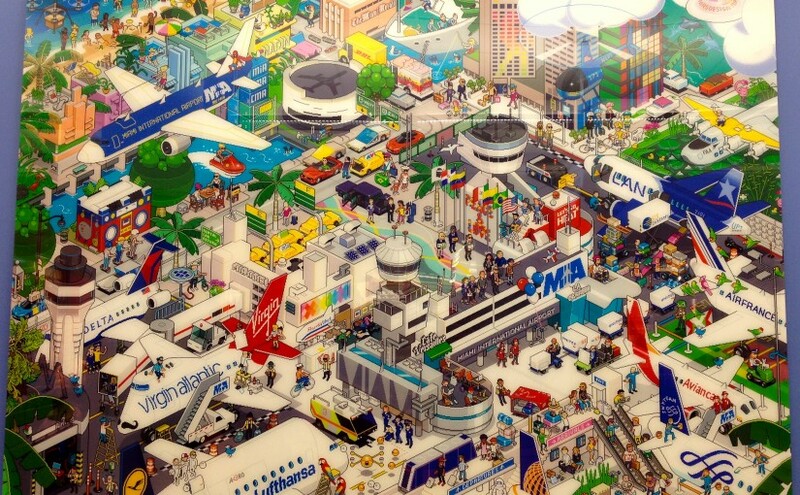 For the first time, Mars Design Miami and eBoy bring their talent to a very specific project by pixelising MIA as a “city” itself. 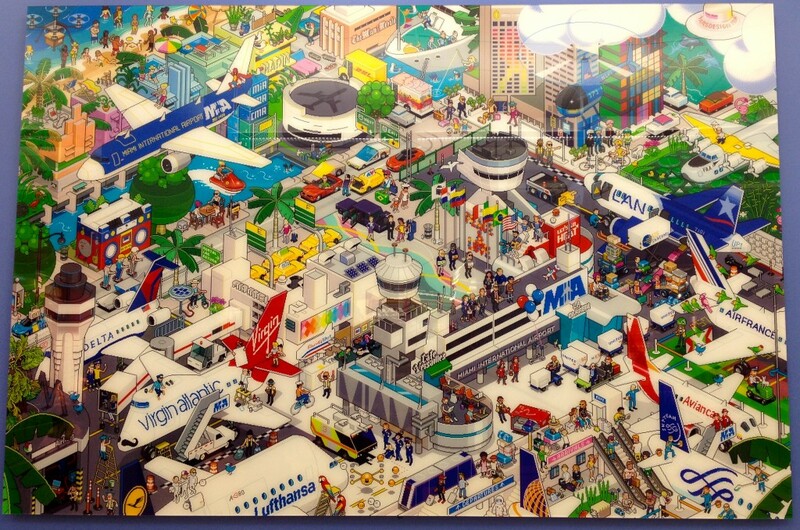 The eBoyMIA Pixorama landing took place at the Miami International Airport with a presentation of a big print of the Artwork on the walls of the MIA. 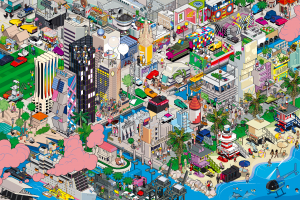 They also depict areas of Miami and Miami Beach in another colorful pixel artwork. It’s fun to pick out areas that you recognize. Can you spot the funky Lifeguard Huts on the beach, The Living Room from the Design District, the art deco hotels?…take a look and see what you can find. There’s so much packed into the artwork it may take you a while.